Divorce certainly takes its toll and the effects of divorce mentally, emotionally and physically are starting to be well-documented. 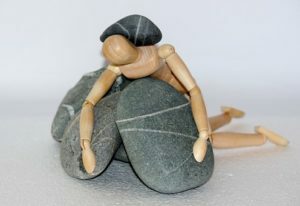 The emotional and psychological strain can at times be quite debilitating for people. But what about the physical toll? 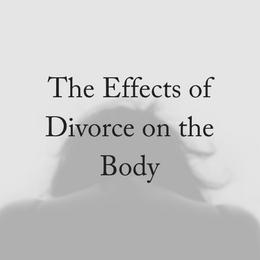 The effects of divorce on the body are a tangible reality. The effects of divorce on the body can lead to issues including eating disorders, like anorexia and bulimia, which have long been associated with teenagers. But experts say that divorce may be triggering eating disorders in middle-aged women. They warn that those in their forties are in danger of bulimia and anorexia from life changes including marriage breakdown and the death of a parent. A British study found that 15 per cent of middle-aged women have battled an eating disorder, and almost a quarter of these have done so in the past year. The higher-than-expected figures are being blamed, at least in part, on emotional upheaval in later life. Research suggests some people have a biological or genetic predisposition to eating disorders and are plunged into them by sudden change. And we know that divorce certainly brings with it plenty of change. “People who lose a marriage take such damage to their health,” said Linda Waite, a sociologist at the University of Chicago in Illinois. Waite co-authored a research article on this topic with Mary Elizabeth Hughes, of Johns Hopkins Bloomberg School of Public Health. They found that divorced or widowed people have 20 percent more chronic health conditions such as heart disease, diabetes or cancer than married people. 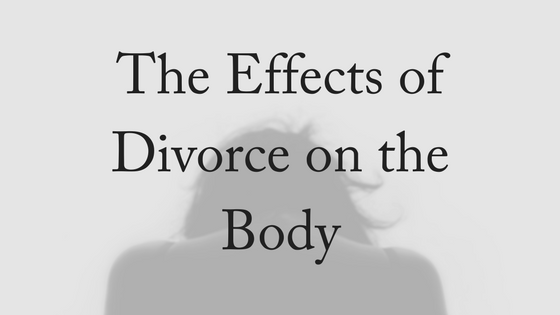 That is, the effects of divorce on the body are not just short-term, but can be lifelong and chronic. Married people tend to be healthier overall. There is often less stress and they are able to care for each other. 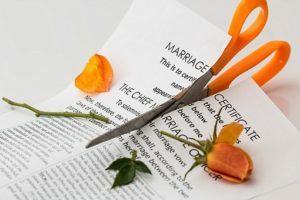 Mark Hayward, director of the Population Research Center and a professor of sociology Fellow at the University of Texas at Austin, found in a similar study that divorce has a lasting impact on cardiovascular diseases, even after remarriage. His 2006 study, funded by the National Institute on Aging, found that divorced middle-aged women were 60 percent more likely to have cardiovascular disease than middle-aged women who remain married. “There’s no erasure of the effects of divorce,” Hayward said. “There is intense stress leading up to divorce, stresses during divorce proceedings. Think of divorce as one of the most intense stressors. It leads to what we call dysregulation [impairment] in key cardiovascular process that may be permanently altered. You’re not going back to your original set point.” Both genders suffer irreversible, detrimental effects on their health after losing marriage through a divorce or death of a spouse, according to the findings. See your GP regularly during and after your divorce. They can help to notice anything going on that’s not normal for you and can refer you to specialists if you need some extra care. Try to maintain a helpful routine. It’s easy to get into bad habits when you’re by yourself. Get some regular exercise. It’s good for your body and good for your mind. Eat regular meals – even when you don’t feel like it. Try not to overeat or comfort eat. Relax. This more than just sleeping. Listen to music, go for a walk or meditate. Let you friends check in on you and listen when they give you feedback as to how they think you’re coping. Tell your employer that you’re going through a divorce and ask for no added work stress. Knowing that what you’re going through is a stressful and life-changing time can help you manage the effects of divorce. Give yourself permission to grieve the loss of the relationship and take care of yourself physically in the meantime. By looking after yourself you’re investing not just in your longevity but the longevity of future relationships. Be kind to yourself and take stock of where you’re at. It might be time to make some changes. At Divorce Lawyers Brisbane, we know that the effects of divorce can be difficult, both mentally and physically. Our experienced and compassionate family lawyers are here to help with your divorce questions. For a free, 10-minute phone consultation with one of our experienced divorce lawyers, please contact us today!